Editors’ note: The blog is inviting constitutional lawyers to comment on the UK Government’s proposal to repeal and replace the Human Rights Act. 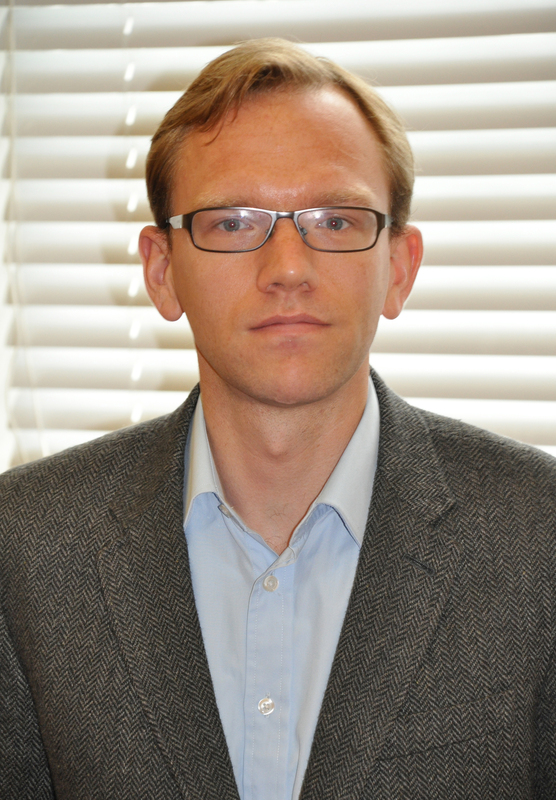 We begin with a post by Dr Tobias Lock, Lecturer in EU Law at Edinburgh Law School. You can read the other contributions in this series here. Posts on the topic are welcome. First, the HRA is said to undermine the role of UK courts when deciding human rights cases. The requirement that national judges ‘take into account’ European Court of Human Rights (ECtHR) jurisprudence is said to lead to the application of ‘problematic Strasbourg jurisprudence’ in UK law. Second, it is said that the HRA ‘undermines the sovereignty of Parliament, and democratic accountability to the public.’ Although the HRA affirms the sovereignty of Parliament, it is alleged that the requirement in section 3(1) of the HRA to interpret legislation in a way which is compatible with ECHR rights, ‘so far as it is possible to do so’, has led to UK courts going to ‘artificial lengths to change the meaning of legislation so that it complies with their interpretation of Convention rights’. Third, the HRA is said to go beyond what is necessary under the ECHR because the ECHR does not require the UK to have any particular legal mechanism for securing ECHR rights, to directly incorporate ECHR rights into UK law, or to make ECtHR jurisprudence directly binding on domestic courts. The position on the UK’s continued membership of the ECHR is less clearly formulated. The policy document expresses a general desire for the UK to remain part of the ECHR, but only if ‘the Council [of Europe] will recognise these changes to our Human Rights laws’. This means that the Council of Europe would have to accept a British Bill of Rights that would, among other things, break the formal link between British courts and the ECtHR. Moreover, it appears that the Council of Europe would be asked to accept that ECtHR judgments would be treated as advisory only. The latter proposal is legally problematic as it directly contradicts Article 46 of the Convention and it would therefore require amendment of the Convention to which all other 46 Contracting Parties must agree. The policy document, which has been widely commented on, contains the warning that in ‘the event that we are unable to reach that agreement, the UK would be left with no alternative but to withdraw from the ECHR, at the point at which our Bill comes into effect’. The Conservative Party’s election manifesto repeats the party’s intention to ‘scrap’ the HRA and replace it with a British Bill of Rights. It also promises to ‘curtail the role of the European Court of Human Rights’ but, in contrast to the policy document from October 2014, does not mention withdrawal from the ECHR, so that one must presume that the earlier proposal to withdraw is not a manifesto commitment. For this reason imminent withdrawal is less likely. However, some of the objectives which a British Bill of Rights would be designed to achieve – such as to ensuring ‘that our Armed Forces overseas are not subject to persistent human rights claims’ or preventing ‘terrorists and other serious foreign criminals who pose a threat to our society from using spurious human rights arguments to prevent deportation’ – could run counter to the ECHR, and as a result, make long-term membership of the ECHR difficult. These plans raise a host of legal questions as is evidenced by their excellent coverage on this blog and many others (e.g. here, here, here, and here). Some of these questions were revisited at a workshop held at Edinburgh Law School in February. (The workshop consisted of presentations by Ed Bates, Christine Bell, Colm O’Cinneide, Fiona de Londras, Sir David Edward, Alan Greene, Paul Johnson, Kanstantsin Dzehtsiarou, and myself.) The product of this workshop is a policy paper which can be downloaded here. The following are its key findings. It is trite that the HRA could be repealed by Act of Parliament. However, any attempt to repeal and/or replace it would need to take into account the devolution settlement. The legal situation in this respect is not obvious. Repeal of the HRA might trigger the Sewel Convention so that the devolved legislatures might need to be asked for their consent. Depending on timing, at the point at which an Act repealing the HRA is passed, the Convention may be enshrined in statute following the recommendations of the Smith Commission. This might make a repeal if not legally impossible then politically very difficult. For instance, yesterday’s papers report that the Scottish government seems squarely opposed to a repeal. As regards Northern Ireland, a repeal would at present run counter to the UK’s international treaty obligations under the British-Irish Agreement, which was incorporated in, and agreed as part of the UK-Ireland obligations under the Belfast (Good Friday) Agreement. The Agreement places the UK under an international treaty obligation to ‘complete incorporation into Northern Ireland law of the ECHR, with direct access to the courts, and remedies for breach of the Convention’. The human rights framework established in the Agreement must be considered integral to the peace process in Northern Ireland. In practice, in the absence of a Northern Irish Bill of Rights (committed to in the Agreement, but not achieved), the HRA has an on-going crucial function in Northern Ireland in terms of ensuring protection of rights, no matter who is in power within Northern Ireland. If the HRA is replaced by a British Bill of Rights, as intended by the Conservatives, it might require the consent of the devolved legislatures. In substantive terms, it would provide Parliament with the opportunity to provide for the protection of additional (non-Convention) rights, such as a right to trial by jury or a freestanding right to equal treatment. Having said that, the political dynamic surrounding the possible repeal of the HRA suggests that rights protected will be curtailed rather than expanded. Moreover, it would also allow Parliament to introduce certain procedural changes, such as no longer making it mandatory for courts ‘to take into account’ the case law of the ECtHR or to read legislation ‘as far as it is possible to do so’ compatibly with Convention rights. It should be noted, however, that the Supreme Court has relaxed the conditions under which courts are required to follow the European ECtHR (e.g. in in Pinnock) and that a removal of these requirements could result in an increased number of cases brought against the UK in the ECtHR. In the unlikely event that the HRA were not replaced (or if a replacement leaves significant gaps in the human rights protection), individuals would still be able to rely on common law remedies, as far as they exist, as well as the EU Charter of Fundamental Rights in cases in which the UK has acted within the scope of EU law. Given that the Charter is based on the ECHR, in some areas a repeal of the HRA might not lead to the desired result. Moreover, if the UK remains a party to the ECHR the right to lodge a complaint with the ECtHR would still exist. As far as the UK’s continued membership of the ECHR is concerned, it is clear that the UK would not be able to withdraw from the binding jurisdiction of the ECtHR while remaining a party to the ECHR, unless the ECHR were amended. This would require the consent of all its forty-seven contracting parties to the Convention. Hence the aim of treating the ECtHR’s judgments as advisory only would only be easily achievable internally while the externally binding character of its judgments would remain untouched. The most important consequence would of course be that withdrawal from the ECHR could result in a substantial reduction of human rights protection for minority and vulnerable groups in the UK. Most importantly, a complete withdrawal from the ECHR would deprive people in the UK from the possibility of bringing their human rights complaints to the ECtHR, but would not relieve the UK of the duty to comply with judgments already handed down by the ECtHR, for instance on prisoner voting. Moreover, the UK would also be setting a negative example in joining Belarus as the only European country not signed up to the Convention so that the protection of human rights within Europe as a whole would suffer. Nonetheless, withdrawal from the ECHR is technically possible with six months’ notice. It would, however, have wider consequences for the UK’s other international commitments in that long-term membership of the Council of Europe may become impossible and a withdrawal from the ECHR may be incompatible with the UK’s commitments as a member of the European Union. This entry was posted on May 15, 2015 by Constitutional Law Group in Human rights, UK government and tagged Bill of Rights, Conservative Party, European Convention of Human Rights, European Court of Human RIghts, HRA Watch, Human Rights Act, Manifestos.